After a full day of icky airports and listening to wailing babies bust a lung on the plane (as much as I'd prefer my ears to be filled with Bob Marley and The Wailers for 4 hours, I really do sympathize on this one), waking up to this scene is literally my idea of bliss. 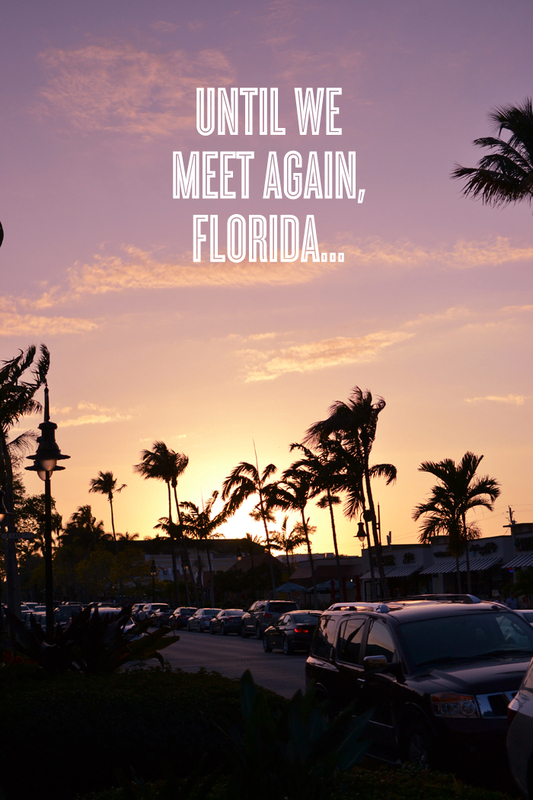 Click the link below to get the full scoop on our FL adventures! About two years ago, I went to an event in Boston that had those "look how much the sun has screwed up your skin" photobooths, and.....yikes. My skin was all "Giiiiirrrlll, you are sooo dumb. Now I look like the surface of the moon. Thanks. Thanks a lot." So, I now wear a huuuuuuge hat anytime I'm beach-bound. I paired it with a pair of el cheapo floral sunnies (similar), SPF 7000 and my Prabal Gurung x Target tank (similar) for some extra tropical flavor. 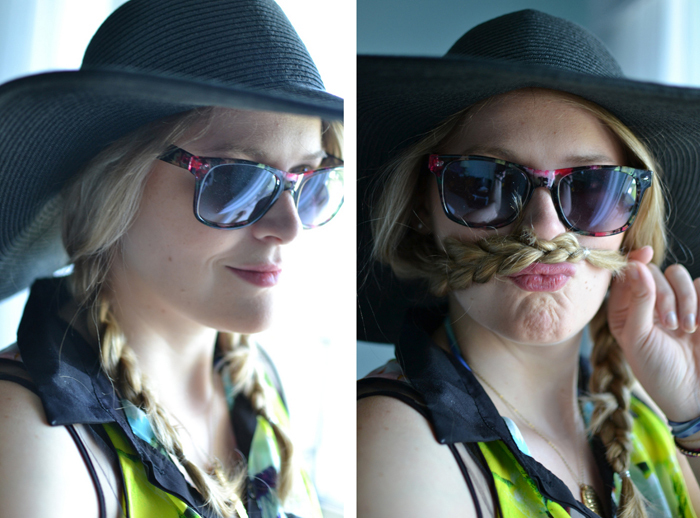 Braided mustache is optional. At one point, the sky was speckled with parasailers. What fun! Speaking of fun, look how much of it I am having! We woke up super early to hear the Gospel proclaimed at an Easter sunrise service on the beach. We then spent the rest of the day sleeping because we woke up before sunrise. Win some, loose some. We were, however, roused from our slumber when a little Easter Bunny came and delivered a dynamite brunch spread. I'm talking the works - eggs, sausage, fresh fruit salad, lox, bagels and all the goodies that go on top of them. I love the Easter Bunny...she's the best. Cheerful yellow linen pants (though it looks like they've toned done the yellow...maybe that's why this pair was on super sale when I bought them?) and an oriental rug that would look reaaaalllllyyyy good in our house. Juuuust throwing that out there. Scored this thrifted number on an fab consigment and thrifting excursion with the mom-in-law. Florida's consigment and thrift shops are untapped treasure troves! I'm not going to go to that morbid place in my mind where the answer to why these shops are full of copious amounts of cool stuff exist, but I'm sure you can surmise the reasons. 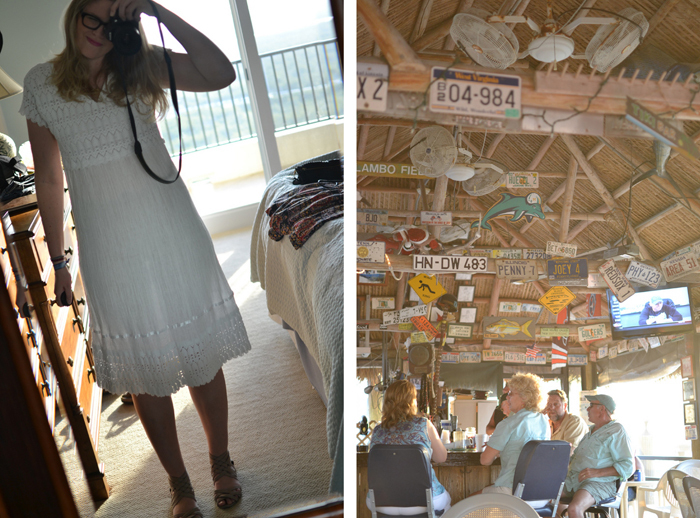 Sported this thrifted gauzey white dress (similar, similar) for dinner at Pelican Bend on Marco Island. I have two words for you: sauteed ruffie. It'll make your tastebuds sing (though it won't do your thighs any favors). Such is the irony of life. 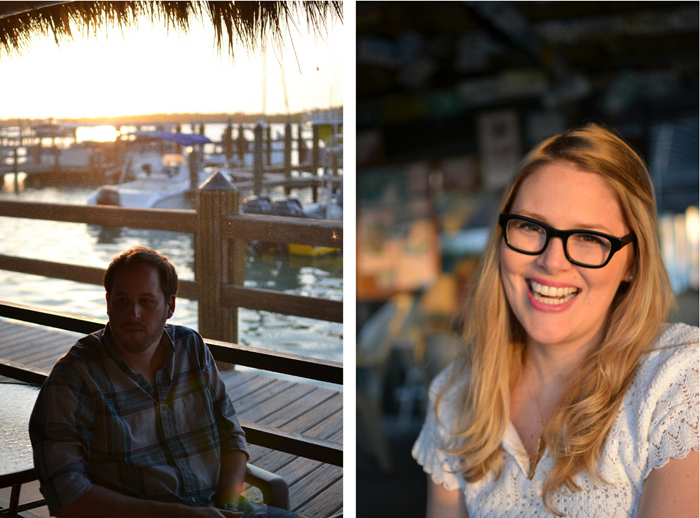 More photos of us chillaxin' and getting our happy hour on at Pelican Bend below. Ahh, yes! 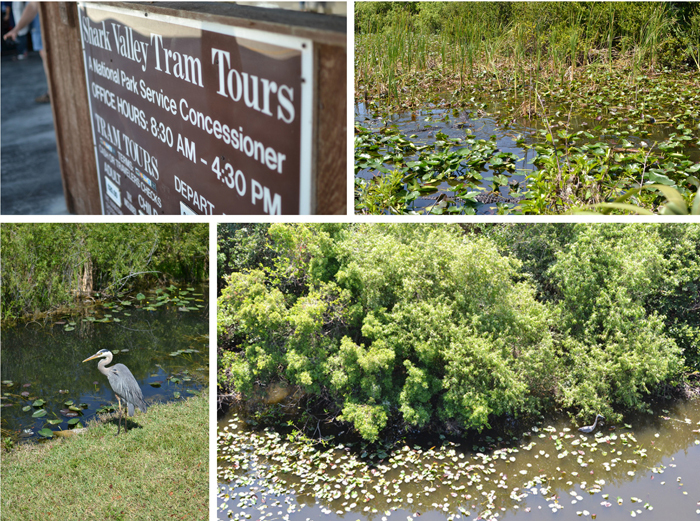 We took a tour of Shark Valley in the Everglades (or as our tour guide plainly corrected everyone....it's just EVERGLADES, not "the" Everglades) and spotted a zillion kinds of birds, and tons of the animals that like to eat them. I'm talking ferocious alligators, people. There were - no kidding - probably 100 of them crammed in that pond pictured up above. It looked like the water was crawling. Wouldn't want to take a midnight swim in that death trap, that's for sure. That would be a homemade donut rolled in cinnamon sugar, as prepared by my master chef mom-in-law. I watched her make a few, and it's a mind-blowingly simple recipe for a dessert that makes a great impression. Fun for dinner parties, no? Stay tuned for a recipe post. Snapped this pic after a torrential downpour....that color is pretty darn close to perfect. Find me a lipstick and nail polish in that hue, and I'll give you a big smile and thumbs up with my newly coral-ified digits and pout. 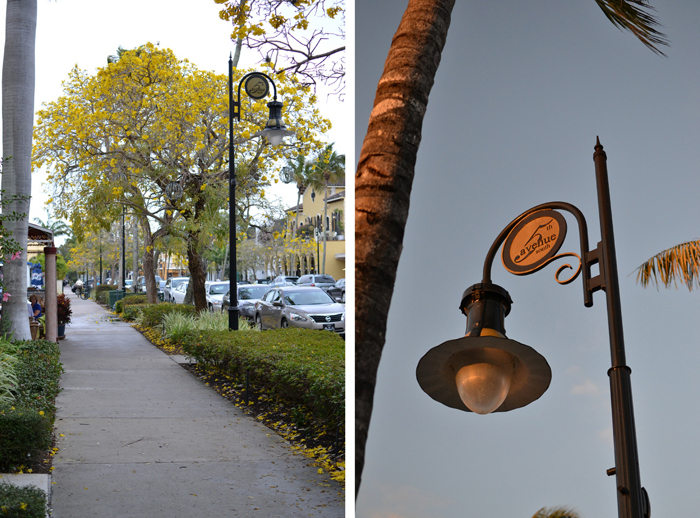 Rollin' with my homies down 5th Ave in Naples. 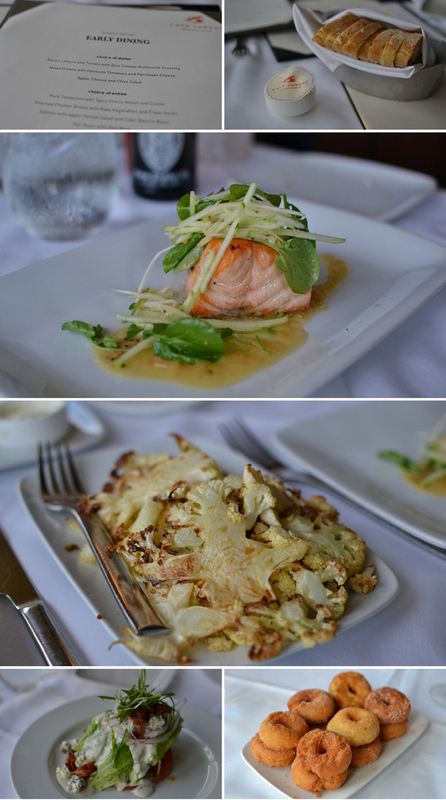 We chowed at Cafe Lurcat, where I ate one of the best salmon dishes to ever touch my tounge. Plus, thinly sliced cauliflower....a dish I plan to replicate ASAP. Now - here's the highlight of the night. After dinner, we were walking around downtown when I ran into none other than my high school BFF, who lives in Chi-town! What are the chances of that? A happy reunion, indeed! Thanks so very much to my radical in-laws for the best trip ever! It was a ball, and can't wait to see you all again. :) Love you guys. loving this post...you have such a magical life. Love surrounds. That dress is so beautiful on you! What a great find. These photos are so great. I gotta say that bunny mask is creeping me out! Fun, still. I'm dying over that first picture with the sailboats, it's so good. I feel like I'm there and it's sunny and warm. Props. looks like a fabulous time. loove that thrifted dress- great find! Oh my goodness! All of this food looks so absolutely scrumptious. I am so glad I stumbled upon your blog! I really love the design and all of your content is so perfect! I will definitely be following you on bloglovin! Happy Friday!! Oh, it looks like such a warm and wonderful getaway!